How Many Boards on a Modern Bowling Lane? All modern lanes today have 39 boards on them. 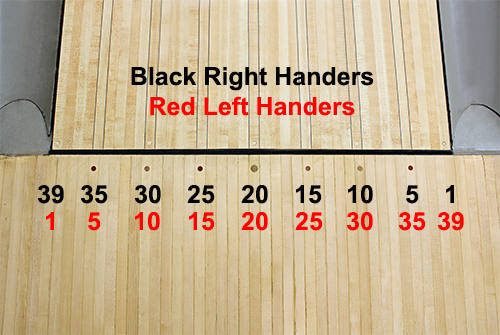 Right handed bowlers count from the right side and left handed bowlers count from the left side. Dots on the approach and arrows on the lanes are 5 boards apart.